As promised, this post about open space use will deal with equestrian users. 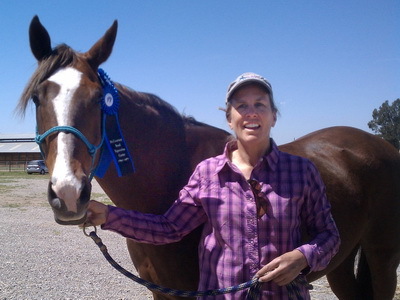 For this topic I feel that because I don’t ride horses and really don’t know all the issues, I would take advantage of a local expert on the subject, my neighbor Lorna Dobrovolny. Lorna has graciously provided the following article that I think represents very well the feelings of the equestrian community. Take it away Lorna. In this installment about open space use on the summit, I would like to talk about a user group often left out of the Royal Gorge trail use discussion, horseback riders. I’m a Serene Lakes resident, SLPOA Stewardship Committee member and life-long trail rider. Yet my voice is very faint over the loud rumbling of other user groups. My fellow equestrians and I are perplexed by the objection folks might have to horseback riders. From the time the emigrants followed the trail through Van Norden Meadow to present day when Bob and Judy Suter lived at Serene Lakes and housed their horses in the meadow at Summit Lodge, horses have been part of the Donner Summit landscape. From Point Mariah, I marvel at the mountain range on the far side of the Royal Gorge. Once every summer at day break, a one-day, 100 mile horse ride along the Western States Trail follows that ridgeline ultimately into the town of Auburn. The Western States Trail Foundation made a generous donation toward the Royal Gorge purchase to support trails and open space on this side of the Gorge. 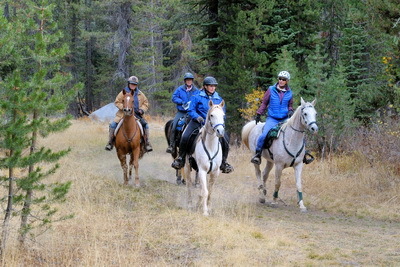 Additionally, Placer County provided $300,000 with a stipulation that equestrians be provided trail access so that horseback riding can continue on the Summit into the future. As California’s major cities continue to grow, there are fewer public open spaces. We who crave a connection with nature are all being forced to be more tolerant of others’ recreational pursuits. The equestrian community has been squeezed out of many trails as housing tracts and shopping malls replace ranches and open spaces. Equestrians want the same opportunity to enjoy the amazing Royal Gorge landscape as other users. We will respect other users and ask the same in return. While I still scratch my head about possible objections to horses, here are the concerns I’ve heard through the grapevine. The Truckee-Donner Land Trust (TDLT) has been provided a number of studies that dispute the claim that horse manure will pollute the lakes (I found this article informative). No one is proposing to open a stable to concentrate animal waste. I would suggest that dog waste is a more serious concern. Just so you know, I have two labs and love nothing better than taking them for a hike and meeting other dogs. Serene Lakes has many dog owners. We try to be diligent about minimizing our dogs’ waste. But there are still many more poops from dogs out there than could be generated from a few horses passing through. Horses eat only grass. They can only pass grass. Horses aren’t allowed in the community. Therefore, there is a significant buffer from the lakes. Dogs, on the other hand, are part of the community’s landscape. Dogs eat meat and a lot of other things. And what comes out the other end can be anyone’s guess, especially if you own a labrador. Yes to some extent, horses can cause a certain amount of erosion. Proper trail construction can alleviate erosion problems from both bike and equestrian use. Considering the soil disruption from the recent tree thinning operation, I think trail use impacts are less of an issue than other forest management activities. Having spoken to John Svahn many times, I believe TDLT will be a conscientious manager and strive to minimize these problems. If I was made aware of other concerns regarding horses, I would be happy to discuss them. Why horses were excluded from the west side trails and the Summit Lodge trailhead has me scratching my head. It precludes access to other trails since the bridge over Sterling Canyon is unsafe. Additionally there is no water for horses other than in the meadow. Those of you with dogs know that our four-legged friends can get pretty thirsty on a warm summer day. Access to a water source seems only possible from the community. As the area gets developed, I was hoping that we could have a water trough at the Summit trailhead as well as the sheep pens. Please know that the current plan gives only one place to park, the sheep pens. 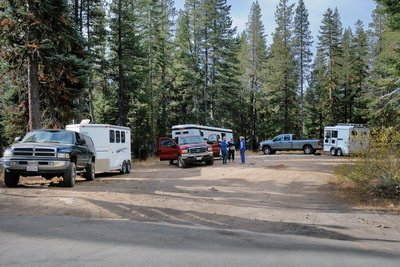 Other users can park anywhere, even though there is sufficient space at the Summit trailhead. I’ve parked three rigs there in the past. Limiting parking limits the number of users. It’s very unlikely Royal Gorge will have a large number of equestrians. Our riding window is quite short on the Summit. We generally have to wait until the snow is gone and if there’s no water available other than the meadow, we are challenged to make the ride distance worth our trip up the mountain. I live near Auburn, likely the main source of Summit trail riders. I have a difficult time recruiting riding buddies to make the trek to Royal Gorge. There are so many other lovely trails in the foothills. The High Sierra Horse Camp, one of the struggling businesses on the Summit, has yet to be fully utilized. Regardless of our numbers, we are excited about the opportunity to gain new trails to replace those we’ve lost. We ask to be treated as fairly as other user groups. Horses provide an inviting, family-friendly way to enjoy the natural world. Most horses are docile, quiet and nice to be around if their senses aren’t overloaded by loud noises and fast moving objects. They fit nicely into the Royal Gorge environment. I really favor TDLT’s “Spirit of Howdy”. How we treat our fellow trail users will make or break this endeavor of trail development. I cannot tell you how many rude people and dangerous situations I have encountered in over 20 years of riding in the Auburn and Folsom State Recreation Areas. Just a couple of months ago, I had a sad encounter with a group of rude mountain bikers who completely ignored my pleas to slow down after I’d come off my horse and injured my leg at the Hidden Falls Regional Park. Let’s not do this at Royal Gorge! Is it really so difficult to smile and say hello while you pass others? If you’re on a bike and you encounter hikers, dogs or horses, please slow down, say hello and pass safely. If you’re walking your dogs, gather them up while you’re saying hello to fellow users. If your favorite thing is to run with rap music streaming from your mobile device, please use only one ear bud so you can hear others approach and say hello. I can’t help that city life makes people so uptight. Only you can leave that stress behind and be kind to strangers. We aren’t the enemy. We’re your new friends. Say hello to human kindness and may we all enjoy sharing this very special place called Royal Gorge.